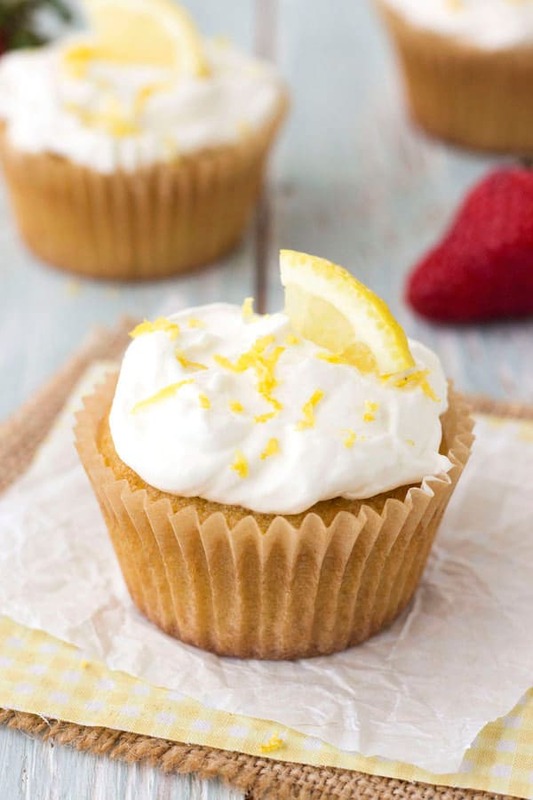 Lemon olive oil cupcakes are light, tender, simple to throw together (no mixer required!) and bake up in just 15 minutes. Are six cupcakes too much for your small household? Don’t worry, the leftovers freeze great! Are cupcakes special to you? Is it because you remember them from your childhood birthday parties or because you usually only get one or two? They probably wouldn’t feel so special if you ate a dozen of them. 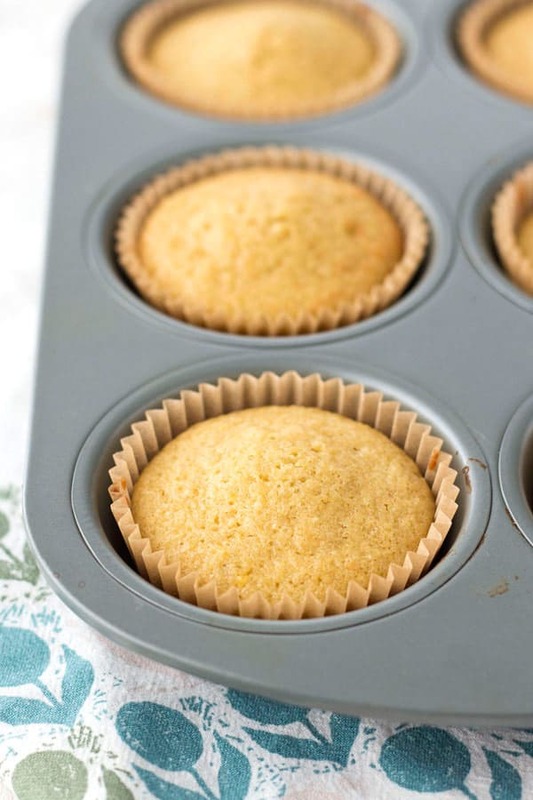 That’s why this lemon olive oil cupcakes recipe is the perfect size for just one or two people. It’s adapted from my favorite Christmas gift, Mark Bittman’s How To Bake Everything Cookbook (affiliate). His original Olive Oil Cake recipe tastes fantastic. But it makes 12 to 16 servings! The responsibility to dispatch ALL of that cake before it goes stale is too much for our little two person household. And I don’t know about you but I can’t trust myself with that many sweets in the house. But just six light and tender, not-too-sweet cupcakes featuring the lovely combination of olive oil and lemon? You can enjoy one or two today and then freeze the rest. Simply wrap any leftover plain cupcakes individually in plastic wrap and toss in a freezer safe bag. The bag will take up less space than your ice tray and you’ll have a sweet treat ready when a craving strikes. The recipe uses simple ingredients with lots of room to customize and make these cupcakes your own. Have fun experimenting with different types of citrus like oranges, limes, grapefruit, or clementines. Fold them together and bake. Easy, peasy. Two important things to note about the batter; it will be thinner and have tiny lumps. I’m notorious for over-mixing cake batter. 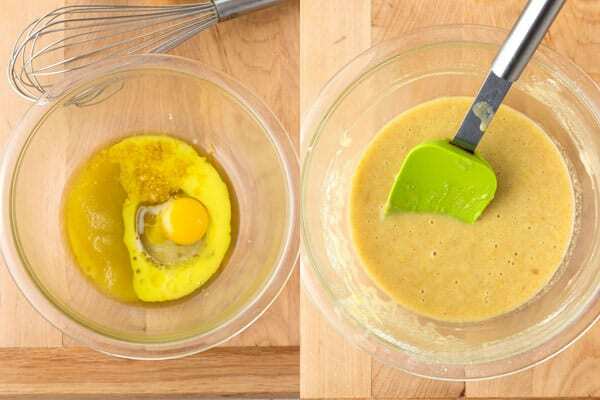 The Virgo in me wants a perfectly smooth batter. All that mixing though leads to a tough cake with LOTS of large holes. So just make sure there are no big lumps and then get that batter in your pan and quickly into the toaster oven. 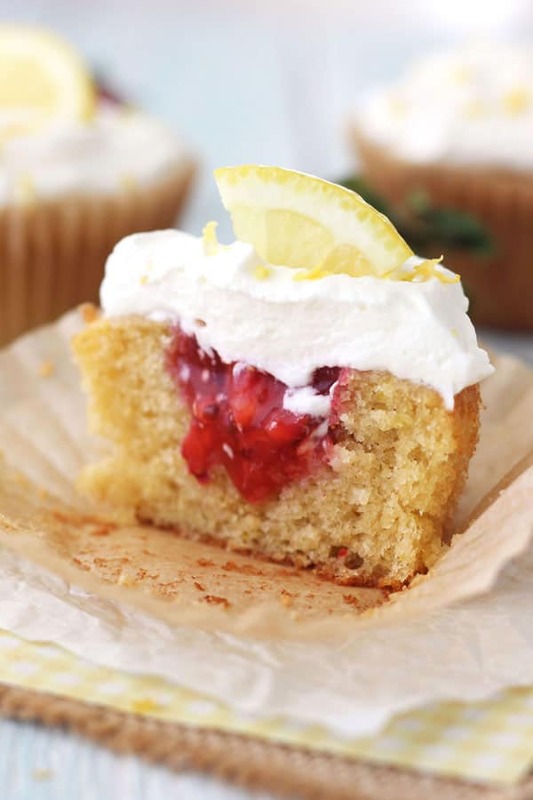 Once your baked cupcakes have cooled you can finish them off with a light glaze of lemon juice and honey, strawberries and whipped cream or Tim’s favorite a scoop of vanilla ice cream. Give yourself permission to go a little overboard, after all it’s only one special cupcake. Like all of our recipes this one was originally written and tested using a conventional toaster oven but we’ve included directions for using a convection toaster oven too. If you’ve never tried baking with your toaster oven’s convection function check out this post for Everything You Need to Know About Convection Toaster Ovens and you’ll be set. Start testing for doneness 2/3 through the cooking time (about 10 minutes). « How To Clean A Toaster Oven And Keep It Clean! I’d never heard of a tower toaster oven before, had to do a quick Google. This is the one I found, not sure if it’s the same one you have? If it is, there is not a convection feature on that toaster oven (not all of them have it) there is just a conventional “Bake” setting on the left knob. There is a link to the “User’s Guide” on the page that gives specific instructions for using the bake setting. It looks like you are not able to adjust the temperature. Unfortunately, the guide does not say what temperature the “Bake” setting is regulated too. You might want to give the manufacturer a call and see what assistance/info they can offer beyond the manual? Update: Sorry I didn’t think of this sooner, the easiest way to find out the actual temperature is to toss an oven thermometer in there before preheating. Here’s our step-by-step guide explaining how to test your toaster oven’s temperature. i love filled cupcakes! especially when the combination of flavors is so awesome. fantastic small batch! This is a tech difficulty. I am unable to download into Paprika recipe app, either through the app download or by cutting and pasting from the website in Safari. Only one line at a time will highlight, which is way too cumbersome even for the best recipe. Sorry you’re having trouble saving the recipe, Mary Ann. I’m not familiar with the Paprika app but I think I know the problem. This recipe was originally posted on Food Fanatic so the recipe card is hosted by them. 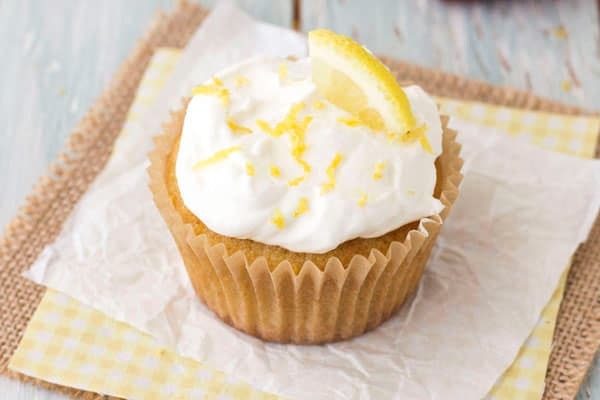 Try visiting this page https://www.foodfanatic.com/recipes/lemon-olive-oil-cupcakes-recipe/ and saving from there.